Pink Lipstick? No show me another shade. That used to be always my challenge. 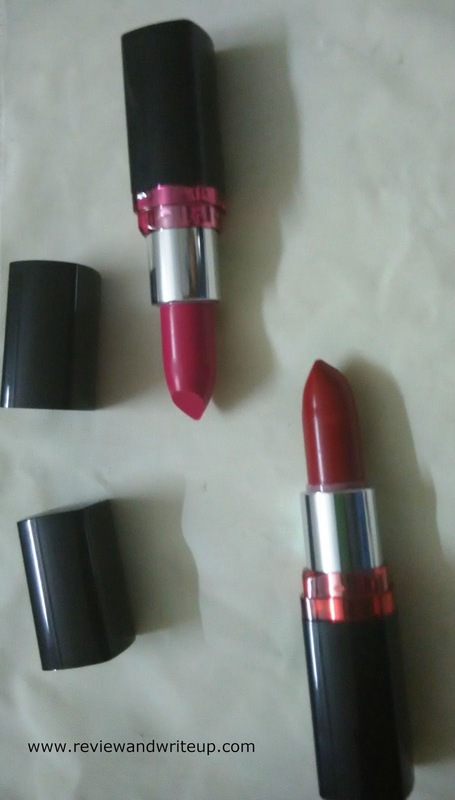 From childhood I am fascinated with Lipsticks. I used to wear my mom lipstick and would brush off before she sees me. Yeah Yeah lot of times I got caught. It’s not easy to wipe it off completely in a minute. I always wanted to have that perfect pink that suits my skin tone. I don’t know what it that, not all pink shades go with my skin tone. I have always been on this journey to find perfect pink for me. I guess all colors suits me except pink. So when Maybelline launched Color Show Lipsticks I thought let’s see if this time I will get lucky or not. 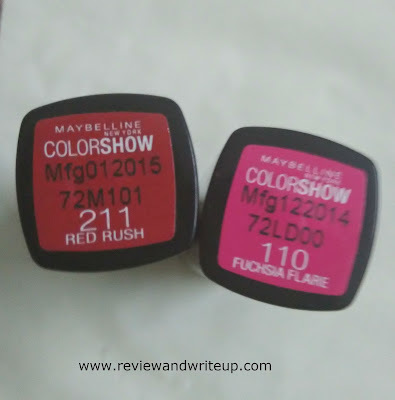 About the Product - Maybelline Color Show Lipsticks are brand extension of Color Show. 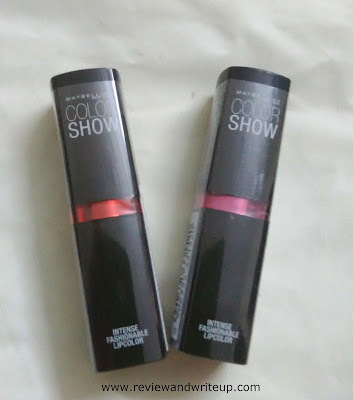 Earlier we had fun with their nail colors (I have also reviewed on my blog here) this time it was turn of lipsticks. They have launched total thirty two shades. My mouth was exactly like yours when I heard for the first time. There are seven shades in Racy Reds, ten shades in Mischievous Mauves, Six shades in peppy pink and nine shades in bold browns. 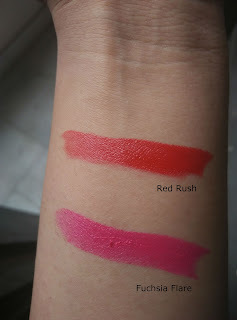 I bought two one is Red Rush (Shade 211) and another Fuchsia Flare (Shade 110). Brand claims that these shades are designed exclusively for Indian skin tone. 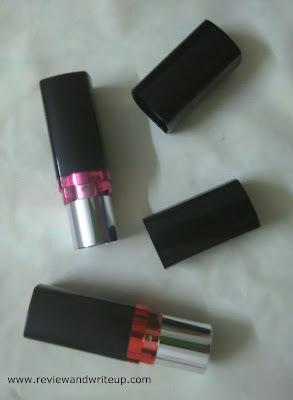 Packaging – Lippies comes in a sleek black color bullet with a belt of shade color around it. I found it really helpful as it helps you identifying your shade easily. I need that due to my rise in my collection, you jealous, huhh? My Experience – In first place I didn’t wanted to try out Fuchsia on my lips due to my earlier rejections by pink. After so much insistence (from me only) I wore the color and was eagerly waiting for my sister to come back from office. Best complement she gave was you are looking like a fairy. Oh that’s the best complement I have ever got. I know this is all behana ka pyaar. Trust me from that day I am wearing pink to all occasions and in a month you can find me hanging around Maybelline outlet. Their red flare is awesome. I swear it can beat lot of expensive red lipsticks out there in market. I liked the light fragrance of the lipstick. Lipstick texture is creamy best part is that it stays on for four to five hours and fades away beautifully. And that too with eating, drinking. I am so happy that finally I found my pink. This is the first pink lipstick in my vanity. These could be worn anytime during day. If you are thinking this is expensive than no. It’s priced at merely Rs. 299 only. 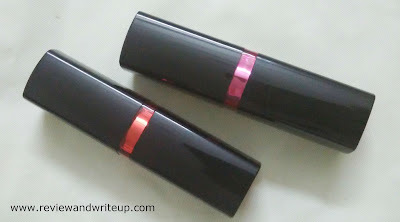 R&W Recommendation – Yes, Yes, Yes so many times I can say Yes for color show lipsticks. Buy at least two shades. I would love to see some photos from you wearing the lipstick. You can share on my email id reviewandwriteup@gmail.com You never know you might get a surprise gift from me. Fushia Flare is my favourite! The red one also looks good. For 299 these lipsticks are best. Good review. Looking forward to more. Red rush seems good.I will try it. Beautiful shades...loved both the colors you picked..